Approximately 18 million Americans – 1 out of every 15 adults – have Obstructive Sleep Apnea, or OSA. Boston Medical Center Otolaryngologist Michael Cohen, MD, in partnership with the Sleep Disorders Center is pleased to announce that Inspire Therapy, an FDA-approved therapy for obstructive sleep apnea, is now available to BMC patients. Aside from one other hospital in the area, BMC is the only place offering this therapy to patients. Listen in as Dr. Cohen discusses symptoms of OSA, and this new groundbreaking therapy to help. Learn more about what Inspire Therapy is and whether it is right for you. 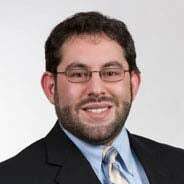 Michael Cohen, MD is an Assistant Professor of Otolaryngology, Head & Neck Surgery at the Boston University School of Medicine and a consultant for GI Reviewers. As a resident, he was inducted into Alpha Omega Alpha and received the Jeffrey H. Spiegel Award for Accomplishment in Plastic Surgery, a testament of his skills as a student and surgeon. His special interests include Snoring & Sleep Surgery, Pediatric Otolaryngology, Chronic Sinusitis, and Allergy, Salivary Gland Disorders. Melanie Cole (Host): Approximately 18 million Americans, that’s one out of every 15 adults have obstructive sleep apnea. Many are completely unaware that they even have this situation. My guest today is Dr. Michael Cohen. He’s an Assistant Professor of Otolaryngology, Head and Neck Surgery at the Boston University School of Medicine. Dr. Cohen first tell us what’s the health burden and economic impact of sleep apnea and sleep disorders in general, really, and how they are associated with poorer overall health. Michael Cohen, MD (Guest): Sure. Well, there’s a lot to unpack there. The health burden of sleep apnea really is probably not even fully known at this point. We know that the physiologic changes caused by sleep apnea have impacts on patient’s cardiac health, on their pulmonary health. It also certainly contributes to – and poor sleep also certainly contributes to mental health problems, depression and things like that. But certainly, we know that there is higher risk of stroke, higher risk of heart disease, things like that have been very clearly shown in patients with untreated sleep apnea. I think you also asked about the economic cost and again, those can be hard to quantify but we all sort of have experienced days of lost productivity at work when we are tired and imagine having that all the time and you can sort of just easily envision the economic costs that comes from having a huge number of people in the population who just aren’t getting a good night’s sleep every night. Host: Who would notice sleep disorders or sleep apnea? Is it a loved one or is it something that you would notice in yourself? Dr. Cohen: That’s a great question and it can really be both. I would say that probably the most common reason that patients come to see us is that their bed partners or other family members report that they are snoring and not only are they snoring, but it often sounds like they are choking or that their breathing is even stopping when they are asleep. But I have had plenty of patients who come in and self-refer and say when I’m sleeping, I feel like I’m choking, or I feel like I’m waking up gasping for air. And those are all things that can be concerning for potential sleep apnea. Host: So, then tell us what is sleep apnea and who is most at risk? Is there a genetic component to this? Dr. Cohen: I’m not sure that we know that there is a genetic component per se to sleep apnea. There certainly are genetic components to contributing factors. So, being overweight is probably the most common contributing factor that we see and obviously, we know there’s genetic components to that. There probably are genetic components just like everything else. We certainly haven’t identified a gene for sleep apnea or anything like that. But certainly, is your family members have it, it’s something that I would have an increased concern that you could have it as well. Host: And then if somebody does come to you, their bed partners have told them that something is going on, they are snoring very loud or they are tired in the day; how is it diagnosed? How is the assessment and evaluation done? Dr. Cohen: Sure. Just like every patient, we are going to start with looking at elements of their history. So, we are going to look at things like – and I will say here that whenever possible having your bed partner or someone in your family with you at these visits is immensely helpful. But we are going to ask about things like snoring, witnessed chocking or pausing or things like that, day time sleepiness, morning headaches. These can all certainly be symptoms of sleep apnea. Then we typically will proceed to a physical examination; looking at the nose and the throat, weighing patients obviously and looking at their body mass index. These are all sort of elements of the evaluation, but really the diagnosis is made through something called a sleep study. And sleep studies are – can be performed both in the hospital and more and more often are being performed at home with devices that they will give you to bring home and hook up yourself and then return the next day. And those devices measure a wide number of things. They are measuring brain waves, they are measuring oxygen levels, they are measuring the efforts at inspiration and things like that. And that’s really our gold standard definitive test to diagnose sleep apnea. Host: So, if you have diagnosed it Dr. Cohen, we have all heard about CPAP; but today we are talking about Inspire Therapy or upper airway stimulation. Tell us what that is and how is it different from CPAP? Dr. Cohen: So, CPAP for a long time has been our gold standard treatment and still is our gold standard treatment for sleep apnea. But there is a not insignificant percentage of patients who for any number of reasons do not tolerate their CPAP well. And so, for years, we have been searching for other treatments and there are many other surgeries that we offer patients which have really kind of variable effectiveness. And Inspire Therapy is a device that was recently developed and was approved by the FDA initially in 2014 and this is a nerve stimulator. What this is, is that it’s an implanted device that is attached to the nerve that moves your tongue forward. And this is a device that you actually turn on at night with a remote control and when it is on, it senses when you are taking a breath in and that’s the sensing lead that knows that you are taking a breath in triggers the device to send a signal to the nerve that controls the tongue and it causes the tongue to move slightly forward in the mouth, opening up what’s called the retro lingual or the space behind the tongue and allowing air to pass more freely. And then you would sleep – once you have slept through the night and you are awake, you simply turn the device off and go about your day and it’s not doing anything through then and then in the next night, you turn it on again. Host: Wow, it does sound so much easier and I understand you when you say there’s an adherence and compliance issue with CPAP. So, what are you hearing about the Inspire Therapy? What is the patient satisfaction information? Dr. Cohen: Sure, so, the patient satisfaction has really been excellent. The manufacturing company is actually compiling a large registry of patients who have had this device implanted and they have begun publishing the outcomes from that registry and the outcomes have been really very good and we now are – we now have five-year outcomes for a pretty sizable number of people, so this isn’t just a short-term thing. We know that it has a durable effect. And in the most recent publications from that registry, 91% of patients were either strongly satisfied or satisfied with their device and 90% of them preferred it to their CPAP. Host: Wow. So, that’s pretty good patient satisfaction. Now what about insurance coverage? Are they recognizing this? Dr. Cohen: They are. Insurance coverage is definitely something that we are always working with, but we have had good success in getting it covered by insurance. It sometimes takes a little bit of effort, but we are happy to make that effort for our patients. Host: And can anybody use it doctor? I mean are there certain people who might not be a candidate for it? Dr. Cohen: There are people who are not candidates for it. So, it’s not approved for everyone with sleep apnea. Your sleep apnea has to fall within a certain range so when you have a sleep study performed, you are given a score and that score has to fall within a certain range for you to be a candidate for the device. Additionally, you can’t be too overweight, you have to have a body mass index of under 33 which is a challenge for some of our patients. But we are happy to work with you and we work with a nutrition team in helping our patients lose weight to meet that goal if they are not there when we see them initially. And there are certain elements of your anatomy that have to be amenable to treatment with the device. So, it’s not just for anyone. So, the first step in evaluating patients once they meet the other criteria is that we do something called a diagnostic sleep endoscopy where we actually take you to the operating room and put you to sleep but keep you breathing on your own and we look down your throat with a camera and look at what’s going on in your airway when you are sleeping that’s causing the sleep apnea. Where are you having obstruction? What parts of the throat are involved, and we have to make sure that obviously this device is going to target the area that is causing any specific patient their problem. So, that’s the necessary hurdle to get over and most patients, about 80% of patients after that sleep endoscopy do remain candidates for the device. About 20% of them we find that their obstruction just is not amenable to treatment with it. And then we can move on to other options as well. Host: Then wrap it up for us with your best advice for recognizing and possibly preventing sleep apnea, any lifestyle or behavior modifications you would like to offer the listeners and also what you would like them to know about Inspire Therapy or upper airway stimulation for sleep apnea. Dr. Cohen: Sure. Well, I think the thing to takeaway is that anyone who snores or has disrupted sleep should at least talk to their doctor about the possibility that they could have sleep apnea and consider an evaluation either going directly to a sleep physician to have a sleep study performed or going to see an otolaryngologist for an evaluation for sleep apnea. And then there are a wide range of treatments for sleep apnea ranging from simple positional sleep and weight loss to using a CPAP to a number of different surgeries of which Inspire is one and it is our newest one and it is exciting because it is a good option for many of our patients who fail to use the CPAP and who don’t have other good surgical options available to them. Host: Thank you so much Dr. Cohen for being with us today and for sharing this new technology, or relatively new technology for people that might not be comfortable with the CPAP and explaining sleep apnea for us. Thank you so much for joining us. This is Boston MedTalks with Boston Medical Center. For more information you can go to www.bmc.org, that’s www.bmc.org. This is Melanie Cole. Thanks so much for listening.